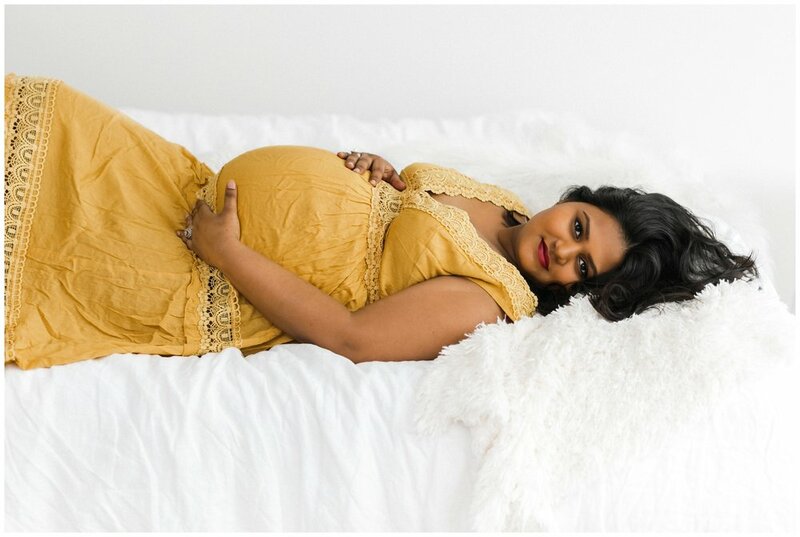 I absolutely loved meeting Niodita and Brandon for their recent studio maternity session. Nio told me that she wanted to embrace COLOR for her wardrobe choices, and I just love the way it's super flattering on her skin tone! She really pulls the vibrancy of these colors pretty effortlessly. Isn't she just glowing and absolutely stunning? !